No RBNZ Rate Hike in 2013: Time to Short? – Nope. Oh no, not again! Was that a short squeeze or are the markets following risk sentiment again? The U.S. economy printed good data yesterday, as the initial jobless claims came in better than expected while the PPI figures were in line with expectations, and I thought that these would boost the U.S. dollar as usual. 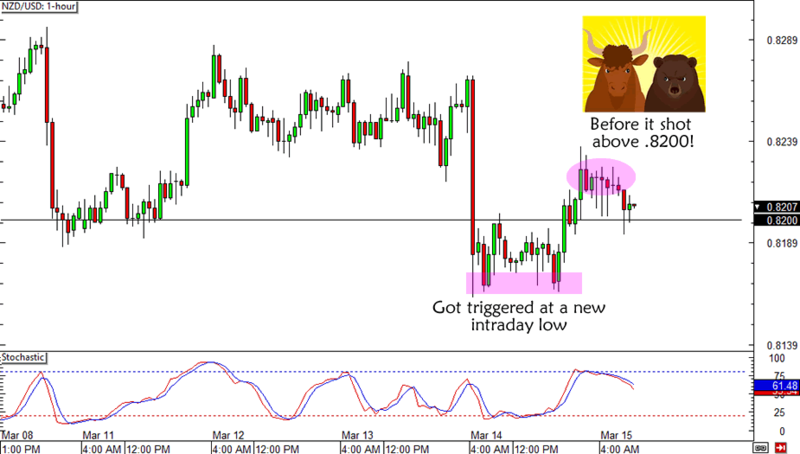 However, what actually took place was the opposite, as the dollar sold off aggressively across the charts! Because of that, NZD/USD decided to break above consolidation and rally beyond the .8200 major psychological level, eventually hitting my stop at .8225. Boo hoo, I just can’t seem to catch a break, can I? I’ve been on a losing streak for quite some time now but I do think that just one really REALLY good trade can help me get back on my feet sooner or later. I look forward to hearing your thoughts and trade ideas in the coming weeks but, for now, I think I need to take a break from the markets to clear my head. 1. The RBNZ not only kept its rates unchanged at 2.5%, but it also said that they’re not planning on raising rates throughout the year. Well that certainly takes out the guesswork for the next months! 2. The RBNZ also downgraded its growth forecasts to only 2% to 3%, down from its 2.5% to 3% prediction in December. RBNZ Governor Wheeler even told the markets that the Kiwi is overvalued, saying that a reduction in the OCR could happen if the Kiwi continues to “overshoot” its value. 3. 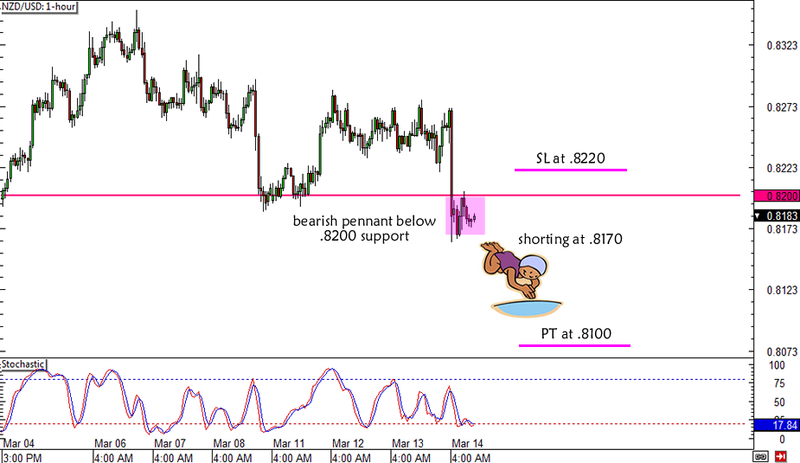 NZD/USD has already broken a big support area at the .8200 psychological handle. Did you know that it’s also right around the week open (WO) and previous week low (PWL) levels? Check the Comdoll Trading Kit if you don’t believe me! Short at .8170 with a stop loss at .8220. I’ll aim for the .8100 major handle but I’m ready to move SL to break even if price hits the bottom weekly ATR at the .8120 area. What do you think of this trade?? Stop too tight or should I go ahead with my orders?